View cart “Vtruvian V1 Massager (Box of 50)” has been added to your cart. 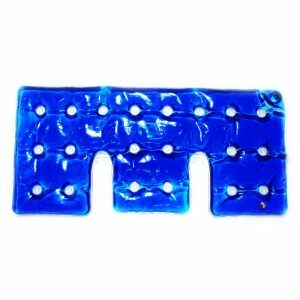 Get the bestselling Helios Shoulder Pad, in a Box of 10 for only $3.20/piece – that’s over 70% off regular wholesale prices! This innovative, multiple use product with several versatile applications, retails between $50-$100/piece and is a great item for mall carts/kiosks, gift shops and other specialty retail outlets. The Helios Neck & Shoulder heating pad is specially designed to give comfort to the upper back muscles, reducing tension that builds up during the day in the lower neck and shoulder area. 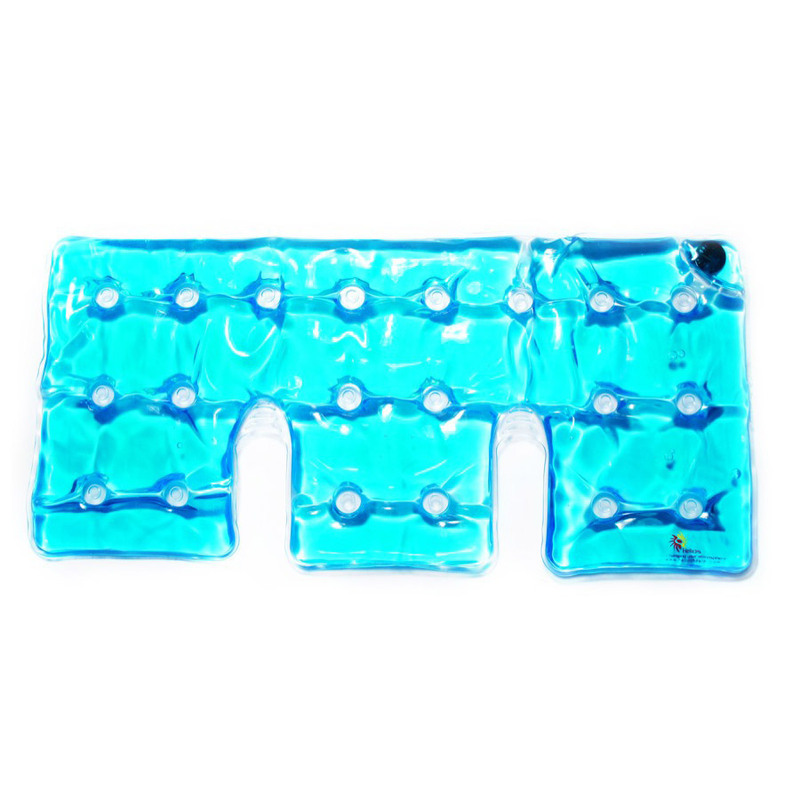 The Helios Heater heating pads are the ultimate heat solution for pain relief, reducing tension and keeping yourself warm while outdoors or at home. The incredible Helios Heater can be used over and over again. just Press a floating coin inside the heat pack and within seconds, you have a fully activated 130° heat pack. Medical studies indicate that Heatt Therapy is an effective pain relief solution that helps promote relaxation and reduce stress. It has been in use for centuries as a natural remedy to enhance the natural recovery process. Heat therapy also increases blood flow, which relaxes sore muscles and provides soothing comfort. 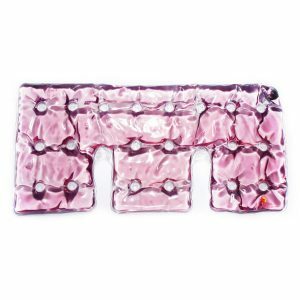 The Heat Packs are all natural and reusable heating pads that use no electricity – so there is no danger of electricity next to the body. It stays warm for the amount of time most health care professionals recommend, between 20-120 minutes with different sizes. Because the pads cool off after that amount, there is no danger of falling asleep and getting burned. They reach a maximum temperature of 130°F and WILL NOT burn anything. They are portable. You don’t have to find electric outlets, worry about extension cords, or stay in one spot. A person can conveniently move around. You can simply reactivate them in boiling water infinite times. These pads conform to the shape of the body. 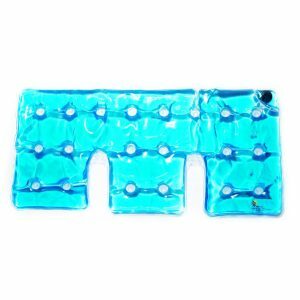 Most heat pads and cold packs are rather rigid. The technology is based on a simple and reusable sodium acetate (a type of salt) & water reaction. You can use them day after day with ABSOLUTELY no waste. The importance of utilizing green products in this economy has infinite positive qualities. So Who Uses these Reusable Heat Packs? Massage Therapists, Nursing Homes, Rescue Workers, Police Officers, Ski Resort Employees, Mothers with babies, Children, Seniors, Athletes, Hospitals, Sports Therapists, Scuba Divers, Snowmobiler’s, Snowboarders, Skiers, Hikers, Mountaineers, Medical Personnel, Postal Workers, Delivery Personnel, and people with certain medical conditions, and anyone requiring a heating/cooling solution. 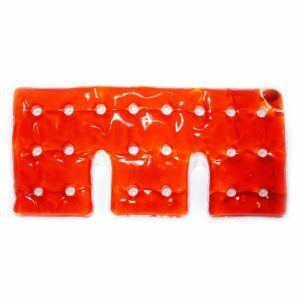 They are an excellent alternative to “Hot stones” because they provide instant heat when needed and there is no preheating required just before use. Another bonus is the fact they are boiled for reactivation which doubles as a sterilization technique. Whenever and wherever heat or cold therapy is suggested, especially when working out on a daily basis and getting sore muscles all the time and light injuries once in a while. The pads will to make the healing process a lot easier. Use them cold in the first few days of the injury to reduce muscle spasm, swelling and treat acute pains. Then use them hot, which speeds the healing of the injured tissues. How many product’s you know that can be used both hot AND cold with such efficiency? Use the hot packs as portable hand/body warmers. 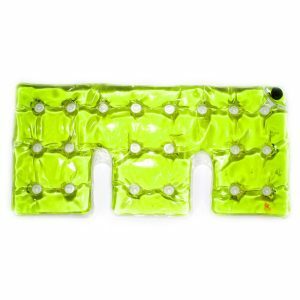 Throw a heat pack into your sleeping bag to preheat it. Bring a couple during your summit of your favorite mountain. They leave no powder residue and absolutely zero odor as other disposable heating pads and hand warmers stink. They are very useful for those chilly days of ice fishing. Stay warm at football, soccer, baseball, softball games, or whatever other sport you wish to attend! 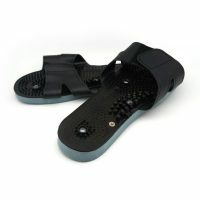 They are wonderful to place inside a wetsuit because they are waterproof. Wintertime golfers can keep their golf balls at a nice warm temperature. We sell to numerous nursing homes and hospitals who use our product for therapy, muscle aches, and back problems. Raynard’s Phenomenon among many other disorders can benefit from the use of instant and reliable heat. 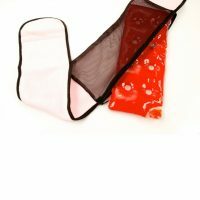 Many woman these heat packs can help easing the cramps associated with menstruation. Arthritis patients have found these packs to be extremely valuable to their condition. It is especially effective for muscle relaxation, muscle aching, back aching, cramps, arthritis pain, joint pain, tenontodynia, tendinitis, carpel tunnel syndrome, lower back pains, middle back pains, upper back pains, cold leg syndrome and other types of wounds or disorders. Toss one or two under your blankets a few minutes before you retire for the evening to preheat your bed. They will help to keep you warm during your travels. We all know how chilly those bus and airplane rides can be. For those people living and working in large cities, these heat packs can make your wait for the bus or train much more enjoyable. Don’t forget to add one to your survival kit, they may save a life. 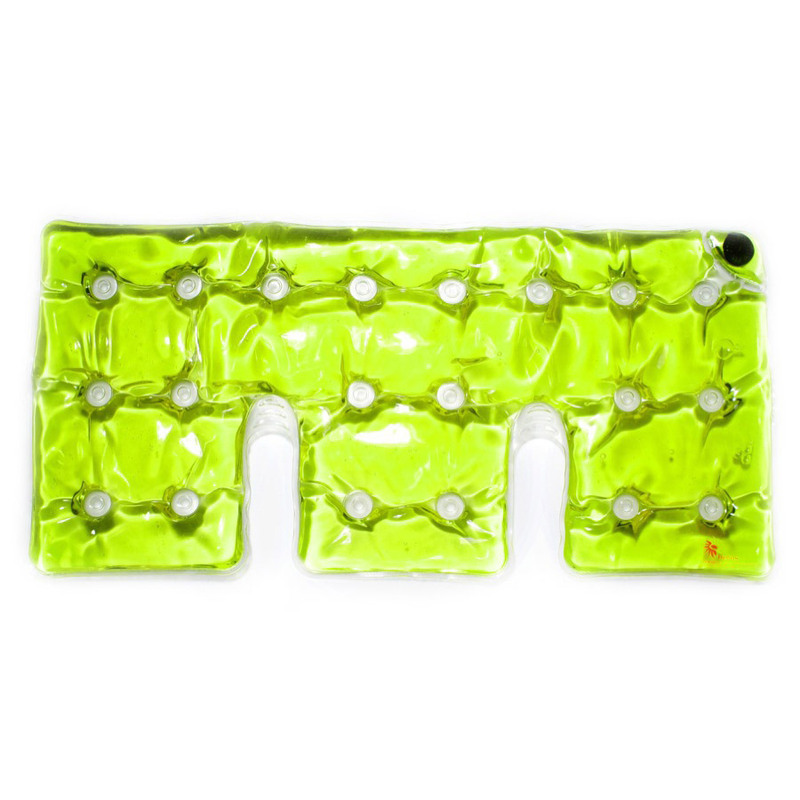 The heat pack can be useful in several first aid applications. What is the Helios Heater? The Helios Heater is the ultimate solution for heating your body, Baby-bottle or any other heating purposes while outdoors or at home. The incredible Helios Heater does not require any kind of power as such as microwave, electricity or hot water in order to warm itself up. What is the heating pad made of? The pad contains water, food grade sodium acetate trihydrate (an ingredient in salt and vinegar potato chips) and a stainless steel disc. The outer casing is medically approved PVC. When the pad is in its liquid state it is a “super saturated” solution. How is the heat produced? Flexing the metal disc in the liquid pad creates a seed crystal that starts a chain reaction causing the pad to crystallize. This crystallization ALWAYS occurs at a temperature of 54 o C (130° F). The pad will not activate if it is above this temperature. Once activated, the Helios Pad has available to it a predetermined amount of energy. It will use this energy to increase the temperature of the pad to 54° C and uses whatever is left to maintain that temperature. This ability to produce heat for a period of time is accomplished because all of the liquid does not crystallize immediately. Molecules that were not required to heat the pad to its maximum temperature will remain liquid, and crystallize as required, to maintain the maximum temperature. This means that a pad that is warm will maintain its maximum temperature longer than one that is cold. Why won’t the pad activate? The Heating Pad must be in its liquid state and below 50° C (122° F) before it will activate. If the pad is too hot it will not activate. When you activate a warm pad, it will not crystallize and turn white; the pad will go cloudy and remain mostly liquid. This is because only the liquid that is below 54° C (130° F) will crystallize and the rest will remain liquid to generate heat as the pad cools. In this way a warm pad will remain near its maximum temperature until all of the liquid has crystallized. Occasionally it may require a few flexes of the disc, but the pad should activate. How do I reuse the pad? 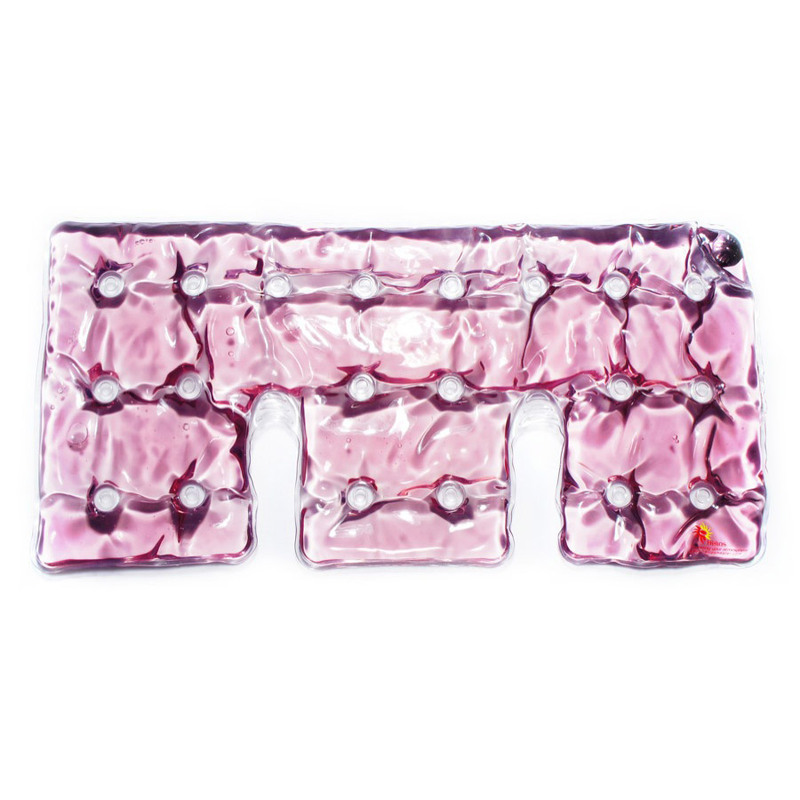 Once the Heating Pad has given off all of its heat, it will remain in its crystallized state until it is recharged. This is accomplished by placing the crystallized pad in boiling water for 5 to 15 minutes (depending upon the size of the pad) until all of the crystals are melted. Once completely liquefied, remove the Helios Pad from the water and store it until it is required. The Heating Pad should remain liquid as it cools. If crystals form as the pad cools, it has not been boiled long enough and should be re-boiled. Depending on its size, starting temperature and insulation, a Heating Pad will provide heat from 15 minutes to 2 hours. 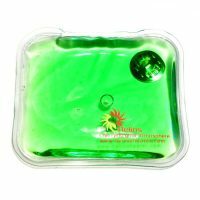 Starting at room temperature and used as a heating pad, it will remain at its maximum temperature for approximately one hour and slowly cool to room temperature in about 2 hours. If you use the pad immediately after it has been recharged, (wrap it in an extra layer of towel as it may be very hot) it will give off heat as it cools and then may be activated while still warm. In this way the pad may last as long as 3 hours. How many times can they be used? There is no limit as to the number of times a Pad can be used. There are pads still in use after five years. The pad will not operate if there is a hole in the vinyl. It is manufactured from the same vinyl as is used in water beds. What are the white crystals that form in the liquid pad? If the Pad has been stored in its crystallized state for an extended period of time, a small amount of water can evaporate from the pad and cause the solution to become more concentrated. This higher concentration is indicated by “snowflake like” crystals in the liquid pad. The pad will still operate, but at a slightly higher temperature. This water loss can be substantially reduced by storing the pad in its liquid state, and may be reversed by extending the boiling times and by leaving the pad in water to cool. What happens if the pad gets a hole in it? If a liquid Pad gets a hole in it, it will activate. The pad then will not be able to be recharged and must be exchanged. The contents are not dangerous and may be dealt with as if you were dealing with normal salt. What if I cannot find a big enough pot or a pan for the large size warmers? Don’t worry, there are a couple of easy solutions. Use the “spaghetti method”; i.e. using a pan, put one end in the boiling water and gently feed the rest into the water as the pack becomes soft and liquid. Yes they can also be used for children. Mostly they are very helpful when children have cold hands and feet. Please remember that these are professional products and are not toys, so please follow the instructions. Still, they are great fun and we know from personal experience that children are always happy with the products.